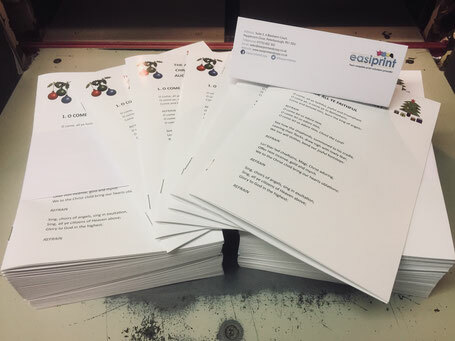 Christmas comes early... - Easiprint Peterborough Cambridgeshire. Printed booklets make excellent hymn sheets! We have just printed our first Christmas job of the year with these hymn booklets for the Aragon Singers. Printed booklets in full colour onto glossy paper.